* This Official Introductory PODD Course is offered for 1.3 ASHA CEUs, Intermediate level, Professional area. Children who have complex communication needs or have only limited speech, in addition to other challenges, often struggle to interact and communicate. This may include children who have physical disabilities, multiple disabilities, sensory processing challenges, limited social interaction skills, and/or a range of cognitive limitations and learning difficulties. This two day course will demonstrate the use of a Pragmatic Organization Dynamic Display (PODD) approach developed by Gayle Porter (Melbourne, Australia). Generic templates for multi-page “light tech” communication books have been carefully designed to support genuine communication for a variety of functions throughout the day. These templates may be customized for a range of access methods and other individual needs. Come learn strategies for creating multi-modal language learning environments that provide receptive models and expressive opportunities for language development. Learn strategies for teaching and using PODD with children and their communication partners. Videos and case examples will be shared. Participants will have an opportunity for hands-on practice with PODD Communication books. Discuss the importance of receptive language input and creating a language learning environment. 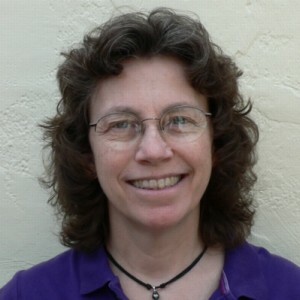 Linda Burkhart is a well-known teacher and leader in the field of assistive technology, adaptive play, and augmentative communication for children who face significant disabilities. She has conducted workshops and presentations nationally and internationally since 1982. She has also developed many publications and software to be used in these areas. *This is Official Introductory PODD Course is offered for 1.3 ASHA CEUs, Intermediate level, Professional area.